No, no, not another sexist movie. I met Captain Marvel, and then I met Barbie Doll. 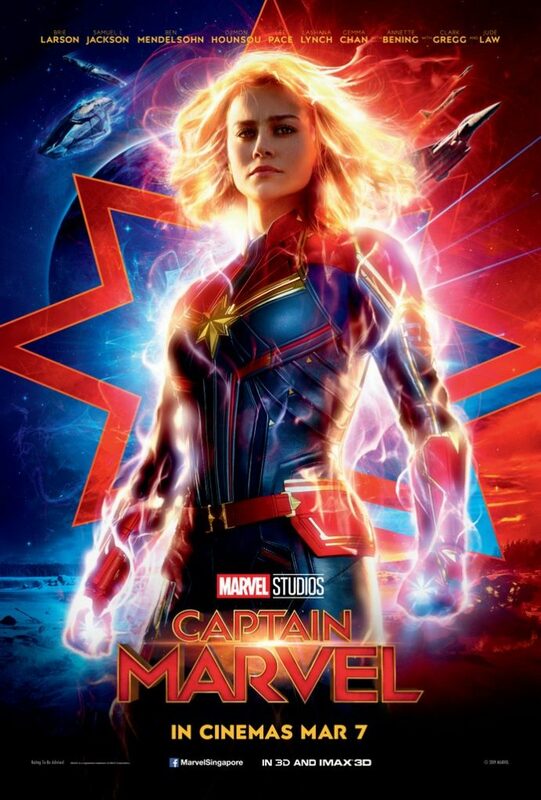 Captain Marvel – yes, it is she, a girl, a superhero girl, therefore a shero – is ageless, in print and on screen, I donno, about 23 in human years I figure. Barbie Doll, on the other hand, is 60, but with the advantage of plastic or rubber or Mattel, looks forever 23 also. Media had their time for Q&A and asked such lengthy questions, the stars had time only for short answers. The best bit about international movie junkets in Singapore is: The film distributor companies give both media and fans and followers equal time with the actors. So first thing in the morning, the celebrity line-up take their places at the conference, then photocalls, then one-on-one interviews. In the evening, they refresh themselves and do the red carpet for the hundreds of fans and moviegoers. So all in, everyone has a fair crack at them. Selfies and wefies, and autographs. Win-win, everyone. Captain Marvellous. Barbie Doll in her 60 years has had more careers than any woman you can name. Fickle job-hopper huh? Not on your Nelly. Barbie is a girl who can be anything, and she has, ever since her creator American Ruth Handler gave her life in 1959 out of Mattel. She was ‘born” to inspire girls to imagine their future selves. A figure of empowerment, she has been an astronaut, mermaid, and you too can take inspiration for your little girl from Barbie’s 60th Anniversary Career Dolls, only $24.99 at Toys ‘r’ Us. Where is Ken in all this? You may well ask. I do not have the answer. Because I’m no Barbie.